In late 2009, the Basel Committee on Banking Supervision – an international forum on banking regulation comprised of representatives from the central banks of major economies – presented its framework for new global banking standards in the post-crisis world economy. Dubbed “Basel III,” the roadmap included a comprehensive set of reforms aimed at addressing the causes of the credit crisis through improving financial regulation and risk management, sustaining adequate leverage ratios, and increasing general transparency and capital ratios among banks worldwide. As such, the final document that was published in June 2011 mandated global financial institutions to meet the newly introduced minimum leverage ratio in excess of 3%, maintain common equity holdings of 4.5% and Tier I capital of risk-weighted assets of 6%, and institute additional capital buffers such as the capital conservation buffer of 2.5% (1). Experts have drawn parallels between these standards and the central tenets of Islamic finance, which also stresses the importance of risk management, minimal leverage, collective risk sharing, moral hazard elimination, reputation and transparency (2). Since 1990, the total volume of Islamic financial assets has steadily grown by 15-20% annually, and now stands at $1.7 trillion (3). Moreover - during the recent financial crisis, the sector of Islamic finance had tripled and expanded more rapidly than the conventional financial sector in all market areas ranging from insurance (takaful) to commercial and investment banking (mudarabah) across the Islamic world. Several factors have left Islamic banks and institutions immune to the ills of the global financial stress. First and foremost, Sharia law strictly bans any sort of speculative and excessively risky (gharar) operations such as securitization of subprime lending, short-selling, and credit-default swaps, which have been among the major catalysts that caused the de-regulated market crash of 2008. AIG’s bankruptcy resulting from incongruence in the high amount of credit-default swaps that it had undertaken and the minimal volume of its assets stands out as a prime example of such failure. In the meantime, the limited use of derivatives and other securitized structures by the vast majority of Islamic financial institutions has led to substantially higher capital adequacy ratios than in most conventional banks. Thus, minimal leverage ratios generated from risk-sharing and speculation-free parameters of the Sharia have placed Islamic banks on an advantageous position in regards to the Basel III requirements (4). Due to the emerging global support for principles of Basel III initiated by the European Union and the US, it is not surprising that there has been a concurrent surge in demand for Islamic financial products in the West. Islamic sukuks - which are Sharia-compliant bonds - issued by major financial institutions such as the Islamic Development Bank have been consistently ranked as AAA because of their prudent risk management nature (5). The trend has caught the eye of the British government, which became the first non-Muslim country to issue £200 million of five-year Islamic sukuks with marketing assistance from major European and Middle Eastern banks (6). 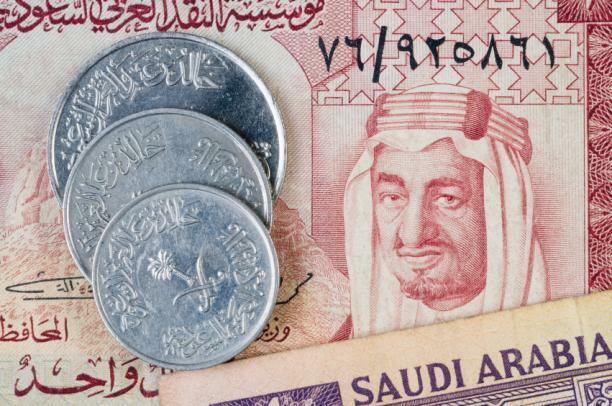 According to latest reports, the British sukuk sale program has become a paramount success, attracting more than £2.3 billion in orders from investors in the UK, the Middle East and Asia (7). Furthermore, the establishment of Islamic banking divisions within major international banks such as Credit Agricole, HSBC, and Standard Chartered signals the vested interest of global investors in Islamic assets. At this point, it is worthy to ask: what exactly has contributed to the rise of Islamic finance in the Basel III-dominated West, so much so that the Chancellor of the Exchequer George Osborne promised to turn London into an “unrivalled western center for Islamic finance”? Emergence of excessive liquidity in the form of petrodollars among investors in the Middle East who are keen on investing into Western Sharia-compliant products is certainly part of the amalgam. However, more fundamentally – the evolving revolution of Islamic finance in the West is ought to be viewed as a Western attempt to diversify the world of conventional finance by delving into a rising paradigm that is yet to be extensively addressed in the West. This way, Western governments and investors are seeking to explore Sharia’s systemic nature of financial regulation that serves as a buffer against the superfluities of conventional finance, just as Basel III has prioritized on fostering increased regulation at the individual bank level in order to prevent the possibility of system-wide shocks in the future. With mandatory asset-backing and emphasis on risk sharing, Islamic finance can emerge as a safe haven for diverse investors amidst turbulent financial times in the Western world. Firstly, thank you for your superb post Azizjon, I greatly enjoyed reading it! You outlined the fact that some international banks have created Islamic divisions to meet the growing demand for Islamic financial products. However, those banks constitute only a minority within the international banking system. Do you think that the trend will pick up once more Western countries explore Islamic finance? If so, that leads to another important aspect which I think is crucial. As a recent university graduate with lots of enthusiasm in Islamic finance, I have found it extremely difficult to find proper employment in the field. Because Islamic financial activities have been historically so constrained to the Middle East, there is a deficit of foreign experts with working knowledge of Sharia finance. This lack of expertise is I think apparent in the West, as well as Russia (where I live). How can this problem be tackled and resolved? I hope this starts off a productive discussion, thanks to everyone in advance! Hello Samir, thank you for your kind and extremely thoughtful remarks! In regards to the establishment of Islamic divisions within the majority of international banks, I think it is an evolving procedure that is currently at its initial stage. As I noted in the title, we have so far observed only the evolution of Islamic finance in the West, with expectations of strong rise in the coming years due to aforementioned factors. It is true that the staggering increase of the total volume of Islamic financial assets held by banks from just over $5 billion in 1980 to almost $1.7 trillion in 2013 has been mostly limited to the MENA region. However, the rising governmental interest in Sharia-compliant financial instruments in the West and issuance of sukuk bonds will inevitably lead to greater diversification in the international financial system through widespread establishment of branches for Islamic finance within banks worldwide. Such trend has already been exemplified in a similar dimension: Britain's £200 million sukuk sale program has attracted £2.3 billion in investments not just from the Middle East, but also from within the UK, as well as the Asian region - signalling a major shift towards the West among Islamic-oriented investors globally. Thus, I believe that the institutionalization of Islamic finance within the international banking system is a matter of near future. Furthermore, I think that you raised an essential component that forms the nucleus of the whole process - a full-fledged industry of Islamic finance would necessitate a corresponding amount of experts among the academia, specialists, and student body in the field. This can take place only with the creation of educational programs and degrees specifying in studies of Islamic finance and banking at institutions of higher learning. Such programs have already been set up at a number of Western institutions including Oxford, Harvard and others. To my knowledge, similar programs have also been established in universities across Muslim-majority regions of Russia including Tatarstan and the Northern Caucasus. In my opinion, prioritization of this approach initiates a wider and absolutely necessary discussion on the framework of expanding the sector of Islamic finance across the globe, drawing the attention of catalysts of research and expertise – the college academia and ordinary students like us. I vigorously look forward to hearing from you and continuing this productive discussion! Thank you Azizjon, it is truly a pleasure having a discussion with you. I certainly agree with your thesis about near-future emergence of Islamic finance at the core of the international banking system. Just like you said, the success of sukuk programs in the West will inevitably catch the attention of investment banks worldwide. Also, thanks for elaborating on your position with the expertise aspect. When it comes to that, I think it is crucial to have more well-qualified specialists in Sharia finance in order for industry to operate better. You also mentioned the case of Russia, and indeed, there have been created university programs focusing on Islamic finance. But at the same time, all of them are state-sponsored and subsidized. Do you think that the state should also invest in Sharia-related studies in the West? If not, then what is in your opinion the best alternative to this solution? Because ultimately, government-funded education is, with all respect, not as professionally and educationally competitive against private universities and colleges. Thanks in advance! Hey Samir, thanks for yet another contemplative comment! I think the fundamental factor that will drive the demand for experts and specialists on Islamic finance will be the strong competition between traditional Islamic banks and conventional Western banks for the market of Sharia-compliant finance in the West. In its turn, sectoral competitiveness in this market will actively kick off once the governmental phase of sukuk issuance stimulates investment bankers worldwide to delve into Islamic finance and hire specialists in the field. Essentially, I believe there should be an amalgam of private sector-funded and government-subsidized education for students looking into careers in Islamic finance. For instance, the Prince AlWaleed Bin Talal Foundation - one of the largest private foundations in the Middle East - has funded prestigious Western educational institutions including Harvard that as a result, established a network of degree programs focusing on Islamic studies encompassing Islamic history, theology, finance, economics, and other areas. However, it is crucial that access to careers in the field of Islamic finance are not constrained solely to those students studying at prestigious universities, or as for the matter, those with Muslim faith affiliation. In order to achieve the ultimate goal of enabling everyone interested in the field to meet their desired educational goals and attaining ethno-religious diversity of experts on Sharia-compliant finance, the government would have to play the central role in introducing and institutionalizing Islamic finance in the Western academic curriculum. Governments can effectively initiate this process through offering of subsidies and investments to both public and private universities depending on prospects of Sharia-compliant finance in their particular countries. What is your take on this, and how does the system of government-funded research on Islamic finance operate in Russia? I'd love to hear your thoughts on the topic, and I look forward to keeping up the discussion with you! Hi Azizjon, thanks for your thoughtful words. I agree with you on your point that there should be a combination of investments from both private sector and the state to get Islamic finance rolling in Western system of education. But in my view, it is the private sector that should be dominant in this area. Just as you mentioned the case of Prince Talal Foundation, the private sector can indeed take the role of becoming the driving force behind institutionalization of Islamic finance. In Russia, the government has taken this responsibility through creation of ineffective research programs focusing on Islamic finance for a limited number of students. It has become more of a new and innovative corruption scheme for education officials to make money off students interested in the field. Therefore, I think the government's role should be constrained so as to allow for direct investments into universities and research centers focusing on Islamic finance from private investors. I enthusiastically look forward to your response! Thanks for your valuable input Samir! In my opinion, the case of Russia rather demonstrates a chronically corrupt system of government where prevalence of fraudulent schemes has become apparent in all facets of its activities, including education. Moreover, prospects of Islamic finance in general remain gloom in Russia due to nationalist distrust towards Islam stemming from the two difficult military campaigns against extremists in Chechnya. The government's funding of a few Islamic finance-related research centers, as you noted, is more of an attempt to meet the growing demand for the industry fueled by the country’s increasingly more practicing Muslim population of 10 million – the vast majority of whom are expatriate migrant workers sending remittances back home. On the other hand, if we closely examine Malaysia, which has traditionally been the global hub for Islamic finance, we observe a vastly different picture of government-sponsored Sharia finance education system. The multitude of public universities offering degrees in Islamic finance has attracted company recruiters from all across the globe who are seeking qualified labor in the industry. The International Centre for Education in Islamic Finance established by the Central Bank of the country has become a key academic powerhouse offering postgraduate degrees in Islamic finance and producing specialists for renowned employers in the field. The center has also set up vital research and work partnerships with major financial institutions such as BNP Paribas, the World Bank, and the Islamic Development Bank (1, 2, 3). Similar success of public-funded degree programs can be observed in a different continent, thousands of kilometers away. The Durham University – one of the UK’s oldest public universities ranked 80th overall in the world by Times Higher Education – has become a leading research center on Islamic finance and economics in the West (4). As such, it offers Masters in Islamic Finance and PhD in over 15 Sharia-related finance research areas, as well as organizing prestigious events and forums on Islamic finance’s emerging role in the global financial system (5). In its turn, this success can be starkly contrasted to the failure of the private sector to fund and operate major academic institutions focusing on Islamic finance. I had previously mentioned the case of Prince AlWaleed Bin Talal Foundation’s funding of Islamic finance-related programs in prestigious Western universities, but it remains a unique exception that is constrained to the realm of students pursuing finance degrees in elite universities only. On a systemic scale, a handful of Sharia finance degree programs established by private investors and institutions have not succeeded in producing qualified experts for the rising industry. For instance, private institutions offering MBAs in Islamic Finance such as the London School of Business Finance – small research university different from the London School of Business (LSB) – have not produced credible degree programs accepted by banks and financial institutions worldwide (6). It can be inferred that a full-fledged industry of Islamic finance filled with qualified experts and specialists can only be achieved through establishment of large-scale subsidized public university programs oriented towards educating and preparing students for employment in the sector. Thus, it is key to understand that in the post-crisis world economy, the Islamic finance private sector is by large looking to hire established experts with firm academic foundations and experience rather than investing in education of those experts. Subsequently, it is the role of governments – whether in Europe or Asia – to initiate the institutionalization of Islamic finance in their respective countries’ education systems in order to enable all students interested in the field to pursue their academic goals and aspirations. Once the industry expands and progresses beyond its embryonic stage, it would be a matter of time for private research universities to delve into the trend and establish properly accredited degree programs focusing on Islamic finance on a widespread scale. Thank you very much Azizjon! It is certainly true that the Russian system of education is different from the West or emerging Asian economies due to massive corruption and prevalence of Soviet-style thinking. After carefully reading your post, I have to agree with you on that the governments have to sponsor Islamic finance-related degree programs in public universities in the initial stage of the process. It allows for students from all walks of life to get to know the field of Islamic finance, and creates academic competition among universities in the West and the Islamic world. As the academic aspect of the field progresses, there will be more global thinkers who will pave the way for the expansion of Islamic finance worldwide. I am grateful to have had this discussion with you and formed a consensus on a number of important topics. I wish you the best in your future endeavors, and hope to stay in contact with you! I appreciate your extremely kind remarks and highly valuable input Samir, it has truly been a pleasure having such a multi-faceted and intellectual discussion with you! I hope that the interest of ordinary students like us from all across the world in this rapidly emerging market of Islamic finance will allow for the global expansion of the field and establishment of leading Sharia finance research centers worldwide. I enthusiastically look forward to keeping further contact with you, so please do not hesitate to contact me at aa3215@nyu.edu! Keep the revolution, lose the revolutionary?